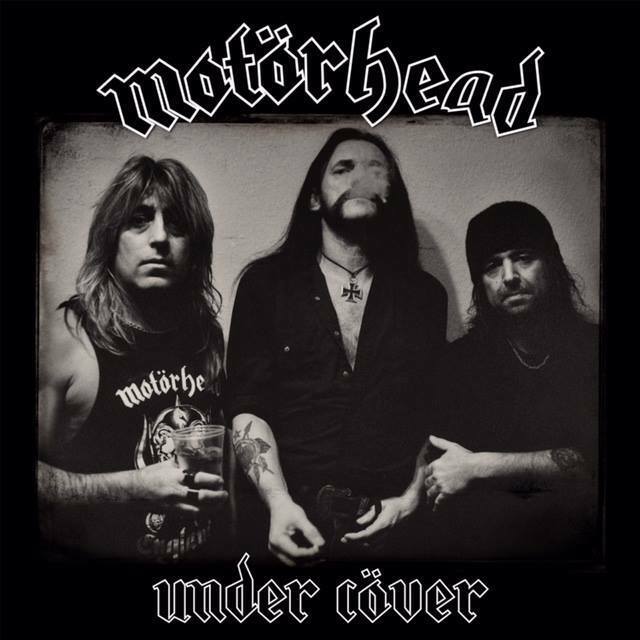 MOTÖRHEAD “Under Cöver” – Cover Songs Album Releases On September 1st! 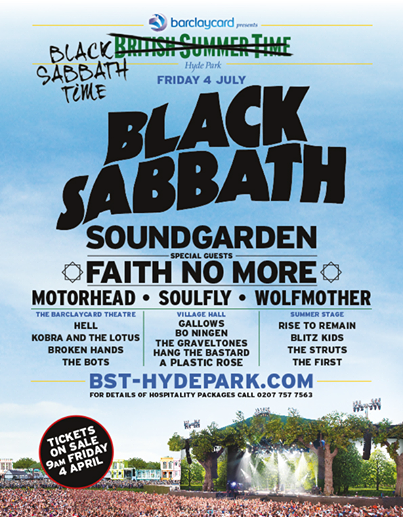 ONE THING Lemmy Kilmister, Phil Campbell and Mikkey Dee liked to do over their years together in Motörhead, was grab a favourite song by another artist and give it a good old-fashioned ‘Motörheading’. To run them through the Motörizer if you will. To rock them, roll them and even give them an extra twist and edge. In celebration of some of those finest moments, the band will release Under Cöver, a collection of some of their best covers, and a collection which will include the previously unreleased version of David Bowie’s timeless classic “Heroes”. Recorded during the Bad Magic sessions in 2015 by Cameron Webb, and was one of the last songs the band recorded together. Under Cöver will be released on September 1st, 2017. LONG LIVE THE LEGACY OF MOTÖRHEAD. REST IN PEACE, LEMMY, PHILTHY and WURZEL. On December 29th, 1966 – The Jimi Hendrix Experience made their television debut, performing their iconic song Hey Joe, on the BBC’s Top of the Pops. Incredible piece of Rock ‘N Roll history there! On December 29th, 1973 – THE WHO hit #76 on the Billboard Hot 100 Singles Chart in the United States, with their song Love Reign O’er Me from their legendary Rock Opera: Quadrophenia. Whoa. On December 29th, 1973 – The amazing LED ZEPPELIN hit #20, on the Billboard Hot 100 Singles Chart with their song D’yer Mak’er. This song is featured on LED ZEPPELIN’s fifth studio album from 1973: Houses Of The Holy. On December 29th, 1982 – KISS kicked off their tour in support of their tenth studio album: Creatures Of The Night. This initial concert took place at the Bismarck Civic Center in Bismarck, North Dakota. It was the first KISS tour with guitarist Vinnie Vincent replacing the super legendary Ace Frehley. This KISS tour would be their last tour in makeup, until their 1996 reunion tour. On December 29th, 2015 – The beloved MOTÖRHEAD have their compilation The Best Of, ranked at #1 on the iTunes Top 100 Heavy Metal Albums Chart. MOTÖRHEAD also have their 1980 studio album Ace Of Spades ranked at #2 and their 2015 studio album Bad Magic ranked at #3, on this same chart. Rest In Peace, Lemmy Kilmister and MOTÖRHEAD FOREVER. Shown above: A Motörhead book I own, chronicling the classic era of Motörhead. From L to R: Lemmy Kilmister, Phil “Philthy Animal” Taylor and “Fast” Eddie Clarke. The staff of Metal Odyssey expresses condolences to the family, Motörhead and friends of Phil “Philthy Animal” Taylor. Phil “Philthy Animal” Taylor has now joined Michael Burston aka Würzel up in Rock ‘N Roll Heaven, as the only two Motörhead family members that have passed away way too young. This influential drummer played on a dozen or so (proper) Motörhead albums and is regarded as a true legend of Rock ‘N Roll by countless fans and peers. I never did get to see Philthy Animal Taylor play live and that is unfortunate. I saw Motörhead in concert after the classic era of this iconic band. I remember my very first taste of Motörhead was a live bootleg recording of the band; a recording I cherished on a beaten up 8 track tape back around 1982 or so. I never heard anything so awful and yet so wonderful in my life, courtesy of that messed up 8 track. 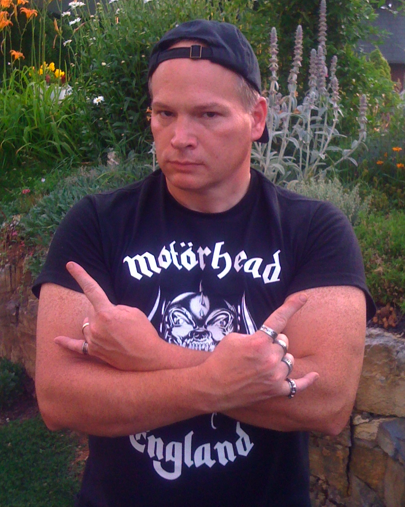 From then on, it has been a love affair I have for Motörhead that I can never let go of. 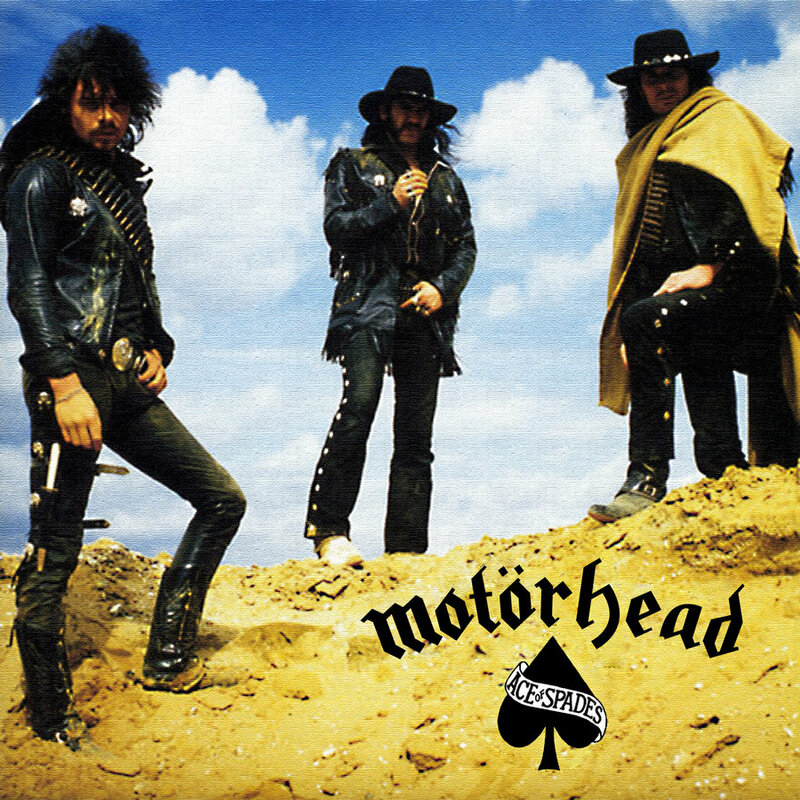 Above: Motörhead Ace Of Spades studio album from 1980. Shown L to R: Phil “Philthy Animal” Taylor, Lemmy Kilmister and “Fast” Eddie Clarke, the classic era of Motörhead. As I write this post, one of my favorite Motörhead songs of all-time has begun to play in my brain: One Track Mind. I guess I always assumed that Rock Gods like Philthy Animal Taylor would live forever, it’s always that way for me, unfortunately. Philthy Animal Taylor will live on though, through those classic era Motörhead albums and his musical works that followed. REST IN PEACE, PHIL “PHILTHY ANIMAL” TAYLOR. 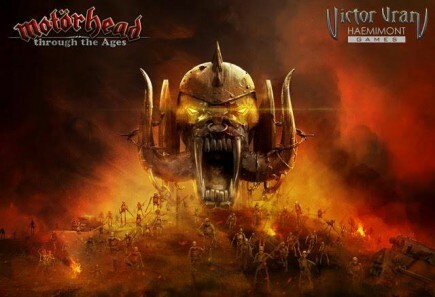 MOTÖRHEAD “Through The Ages” – To Be Released via Haemimont Games By End Of 2015! Motörhead fans can feast their eyes on the first images from Haemimont Games forthcoming game Through The Ages, which will be ready for your screens and minds at the end of 2015. Based on the acclaimed action-RPG Victor Vran, this is an official expansion game for Vran, and will see all manner of devastated landscapes, dystopian urban environments and other elements all influenced by Motörhead’s history and lyrics. The game will be available on PC Windows, Mac OS X and Linux, with further platforms to be announced. Keep your eyes open for further updates. 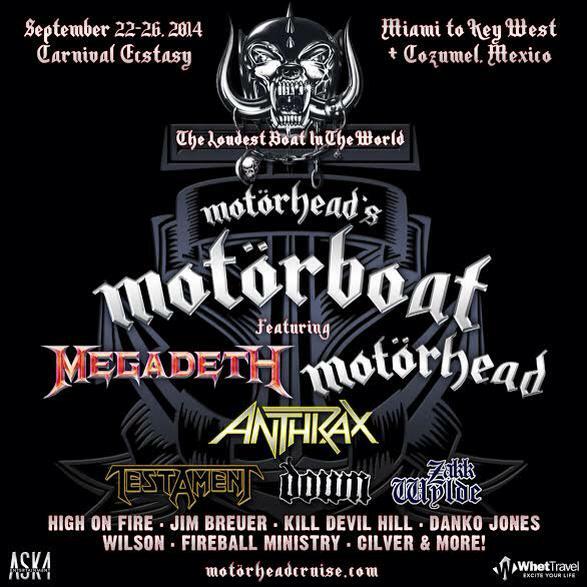 Motörhead’s MotörBoat – Win A Trip For 2! Sailing September 22nd – 26th! 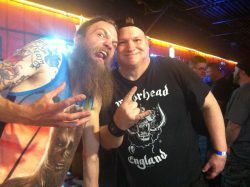 Motörhead Fans!! We’re sailing the high seas alongside ANTHRAX, MEGADETH and MORE! JOIN US for #TheLoudestBoatInTheWorld. It’ll be the experience of a lifetime. Sailing September 22-26, 2014, on the spectacular Carnival Cruise Lines Ecstasy from Miami to Key West and Cozumel, Mexico, we’ll have dozens of amazing concerts, artist meet and greets, Q&A sessions, wet and wild parties, crazy theme nights and a ship-ton of other fun stuff!